Inspiring Future Leaders to Leave a Legacy of Excellence is the theme for the 2019 Southwest Regional Meeting. The meeting will take place at the Dallas Marriott City Center, February 22- 23, 2019 in Dallas, TX. During the regional meeting, chapters will have the opportunity to participate in competitions and present topics detailing significant perspectives for moving your chapter forward. Presenting and competing during the conference will improve students' communication, collaboration, and critical thinking skills. We encourage all members to attend these sessions, as they will provide innovative concepts applicable to the advancement of each chapter. Along with Best Practices, students will also attend sessions presented by some of today's prominent successful professionals. During these presentations, students will acquire in-depth knowledge designed to springboard them into today’s competitive job market. The Theta Lambda chapter, along with the Epsilon Pi chapter and event coordinators, are working diligently to bring you an unparalleled experience that you will not want to miss. We hope to see each of you at this year's 2019 Southwest Regional Meeting. For chapters who wish to present in Chapter Operations: Chapter Operations Abstract Form. The due date is Friday, January 25, 2019. Cancellation policy: Cancellations made prior to Friday, February 8, 2019, will be refunded. Cancellations received after this date and no-shows will not be refunded. If you encounter an emergency, please contact Mackenzie Keel and the request will be forwarded to the Executive Director for refund approval. *To receive the group rate, please indicate that you are part of the 2018 Beta Alpha Psi Southwest Regional Conference. 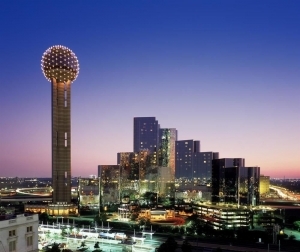 Since there is a plethora of things to do in Dallas, check out https://www.visitdallas.com/ to see all sorts of other funs things going on before, during, or after the conference! Geoff Roberts has worked in the energy, environmental and utility industry throughout his career. Since 2008, he has been an industrial advisor with EQT, a Stockholm Sweden based private equity firm. He brings a diverse background of experience from the management and executive levels in the commercial, technical and operational areas of the energy and environmental industries spanning more than 35 years. His experiences range from asset management, asset development, O&M and M&A to energy trading and origination. His career involved working for leading energy companies both domestically and internationally, including NextEra Energy (FKA Florida Power & Light), Shell Oil, Enron and Entergy. During the most recent decade, he has increasingly focused on businesses at the emerging nexus of water, energy and the environment, focusing on environmental compliance, wastewater collection and wastewater treatment operations and technology enhancements and commercializing new technologies. He currently serves on the Boards for Synagro Technologies and Innovyze for EQT. In addition to his roles at EQT, he is also serving as the Non-Executive Chairman for Primus Green Energy, a modular gas to liquids technology that is in the process of commercializing its technology. He has previously served on the Boards of Entegra Power Group, Midland Cogeneration Ventures, Restaurant Technologies, Peregrine Midstream Partners and Contanda Terminals LLC. Mr. Roberts has a Master’s of Business Administration from Florida Atlantic University and a Bachelor of Science degree in Civil Engineering from the University of Miami, and is a Class A licensed wastewater Treatment Plant Operator in the State of Texas.